Willa Thaniya Reid has been practising formal Buddhist meditation since the 80s. She brings to her teaching a love for the original suttas of the Buddha. And a commitment to making these relevant and accessible, recognizing the rich path they offer for embodied practice. She understands the Brahma Viharas as an essential cultivation for the capacity to meet the world and awaken. Her primary training has been through the Thai Forest Tradition of Luang Por Chah. The Forest Tradition is in harmony with her affinity for the natural world and for reflective practice. For 18 years she was part of the monastic community in England. As the senior nun of Cittaviveka for eight years she offered support to the lay and monastic community; teaching retreats locally and internationally. She has a Masters degree in relationship counselling, and clinical pastoral training. This also informed her work, offering spiritual support to the dying and their families, for six years in Melbourne. She continues to offer therapeutic support, and is on the teaching faculty of an Australian University, in the Counselling and Psychotherapy discipline. 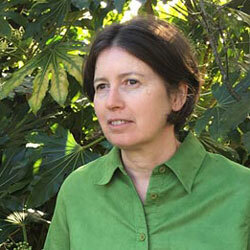 She now lives in New Zealand, where she co-founded with her partner a center for Dhamma enquiry. This is a base from which they offer meditation and Dhamma teaching to the local community through regular sessions, day-longs and longer retreats. She also teaches in other Dhamma communities in New Zealand and internationally.